Come join us and reach yours and your child’s true potential through our professional instruction and work ethic. At Ne-Sport, we offer a wide range of classes from a very young age. Fun, discipline, and education in martial arts & fitness to get your heart pumping. We are a family orientated Club with high values of Courtesy and Integrity. We value ourselves in creating a safe and fun environment for all our members, whilst maximising each individual’s ability through hard work and dedication. Established in 2003 with NE-Sport Taekwon-Do Club, we have grown into a brand offering not only Taekwon-Do, but other Martial Arts and Fitness Classes for all ages and abilities at our fulltime venue. From Taekwon-Do and Kickboxing, to our energetic cardio non-contact classes of Boxing4Fitness & KickFit, plus including Personal Training, there is something for everyone. Whether it’s a young child looking to develop confidence, discipline and important ‘life skills’, or an adult beginning there Martial arts journey, we offer the highest tuition and training to help each individual achieve their own personal goals. ‘We produce Champions at National and International level’! 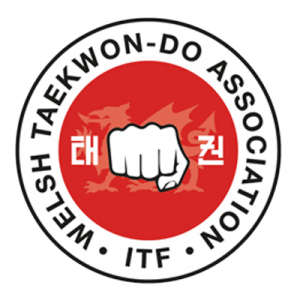 At the ITF Congress which took place on Sunday 16th October 2016 in Budapest, Hungary after the conclusion of the ITF World Cup, The Welsh Taekwon-Do Association was granted AA Status within ITF. 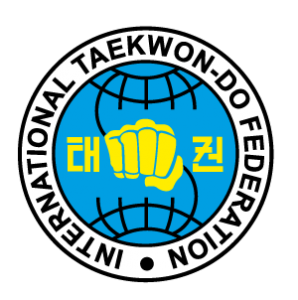 We are looking forward to building a strong Wales within ITF, and welcome interest from Clubs and Groups within Wales looking for recognition and Status within the International Taekwon-Do Federation. President, Mr Neil Ernest. The trainer and coach of multiple national, European and world medallists, Mr. Neil Ernest has been mastering Taekwon-Do since the age of 5. Winning many medals as a colour belt including multiple Welsh, English, Scottish, and British titles, Mr Ernest gained his 1st Degree Black Belt in September 1989, and the real journey as a martial artist, student of Taekwon-Do and competitor began. Having been selected to represent Great Britain in 1992 as a Junior Black Belt, his international career spanned over two decades captaining his country, and becoming a multiple medallist at European and World championships. He is rated as one of the best fighters of all time by his peers and one of the best ever middleweights in ITF. Former Welsh national coach and currently national team coach of England, Mr Ernest is also regarded as one of the best sparring coaches in the world helping England to their best ever medal hall at 2015’s World Championships. Currently training the next generation of champions at NE-Sport & Fitness, he takes satisfaction in watching and helping children develop from a young age, overcoming difficulties and inhibitions and growing into respectful, successful, confident individuals. 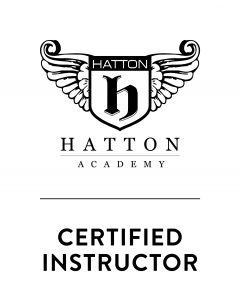 Qualified with a Diploma in Fitness Training & Sports Therapy, Fitness Instruction and Personal Training, Mr Ernest is also a Hatton Academy Boxing4Fitness Qualified Trainer. If you’re thinking of trying out martial arts, wish to improve kicking and punching techniques or get that little more fit, NE Sports is the No.1 Club in Cardiff. Come along for a free first class – see for yourself.